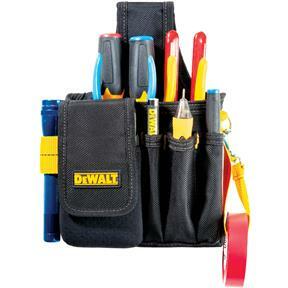 The DEWALT Small Technicians Pouch has a built-in cell phone holder, electrical tape strap, 4 pockets, a flashlight loop, and belt attachment. 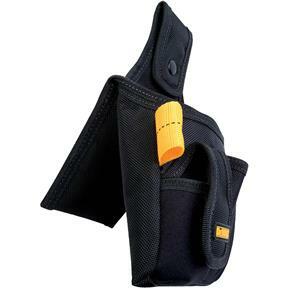 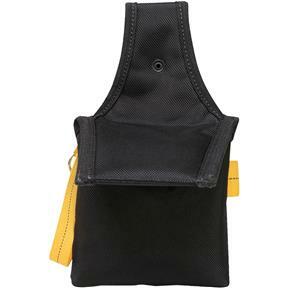 The rear flaps slips into back pocket or snap closure and can attach to 2" wide belt. 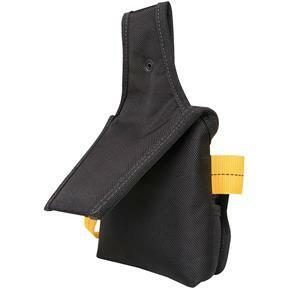 The ballistic poly material provides strength and durability.